Year One trip to Eureka! 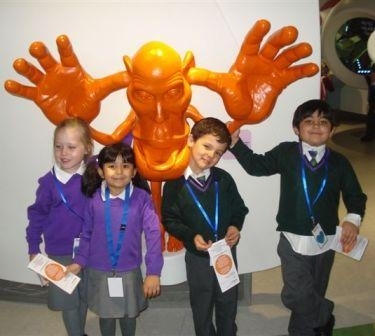 The Year One children enjoyed an action packed and informative day at Eureka Museum in Halifax. They explored the ‘All About Me’ exhibition where they met the Eureka doctor and investigated their five senses. The children had fun climbing inside a huge nose, standing on a very large tongue and meeting a robot called Zoom. The Doctor was amazed by their knowledge and inquisitive minds! What a wonderful day of learning outside the classroom.